The Avenir Cubicles is one of the most popular cubicles from industry leader, Steelcase, with the 8×8 cubicle being one of the most highly desired configurations. The color of the trim and fabric is driftwood, and the laminate is a “warm white”. We have 76 of these available right now in our inventory. 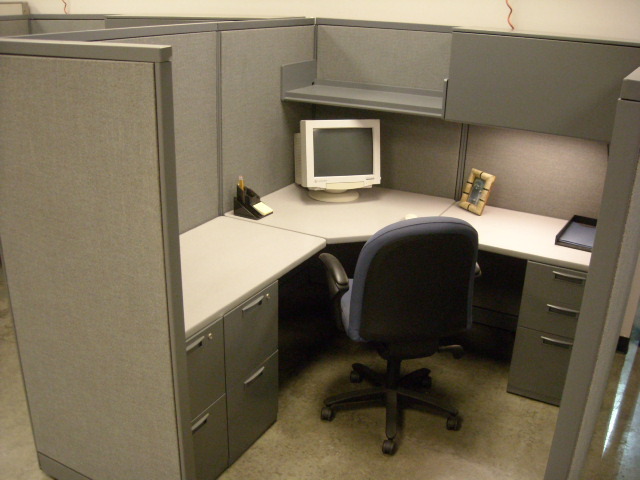 The workstations have 2 48×30 Worksurfaces with an equal size corner. Need storage? These come complete with a Box/Box/File pedestal and a 30” 2 drawer lateral file. There are also 2 48” flipper doors with 48” task lights underneath for ideal illumination. We have the best deals on used office furniture and buyback services for Pittsburgh, Pennsylvania businesses! No Comments on "Used Steelcase Avenir 8×8 cubicles Cleveland"